The Go Sleep® Travel System is a patented upright sleep system that allows traveler’s a better way to sleep while on an airplane. 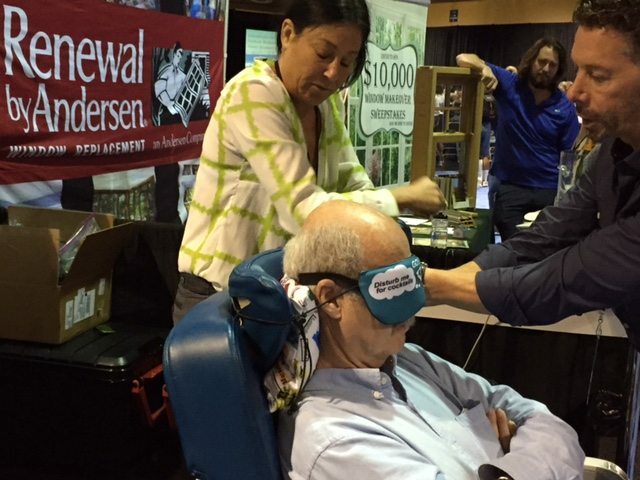 By using this device around a headrest it is a perfect solution to avoid the head bobbing, or neck pillows that just don’t work for me. This set includes a fabric covered pillow and a comfortable sleep mask for the eyes to block the light. A sturdy strap fits around the sides of the sleep mask and goes around the head rest to keep one’s head upright. Just like magic! 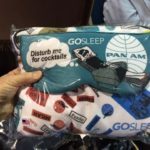 New Gadget To Help Travelers Sleep On An Airplane! 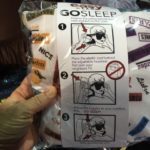 The Go Sleep® Travel System is a patented upright sleep system that allows traveler's a better way to sleep while on an airplane. 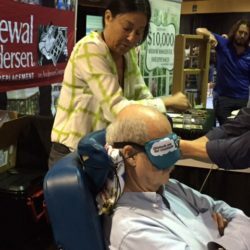 By using this device around a headrest it is a perfect solution to avoid the head bobbing, or neck pillows that just don't work for me.